Naoto Fukasawa is known for his minimalist designs. Also the Cu-Clock carries the unmistakable hand writing of this designer. The Cu-Clock that is produced by the Italian company Magis since 2011, unifies Japanese minimalism with Italian design and German tradition on a unique way. 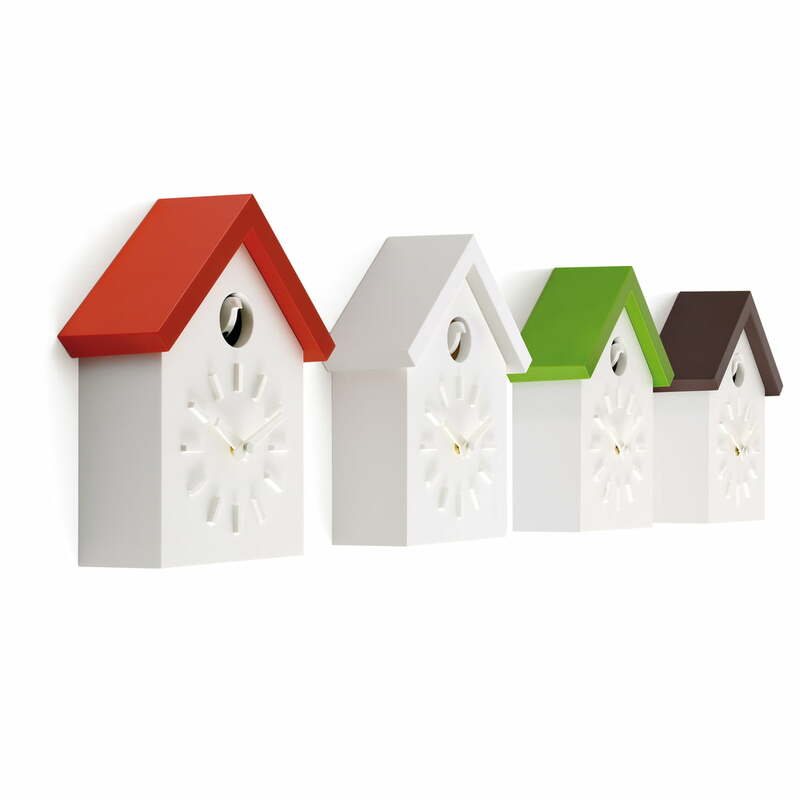 A minimalist cuckoo clock is a contradiction per se, as the original clocks from the Black Wood are internationally famous because of their rich ornaments and decorations. 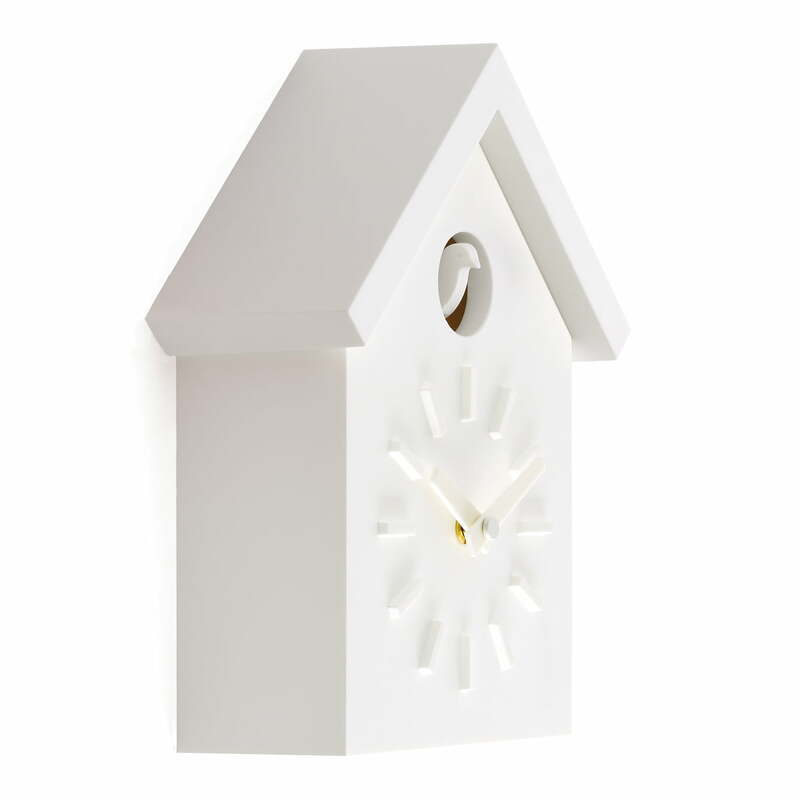 Fukasawa reduced his new interpretation of the cuckoo clock to a minimum, so that it only wears the inclined roof and the cuckoo that remind of the original Black Wood one. Also the pendant and chains, as well as the wooden ornaments were renounced. The battery powered Cu-Clock does completely consist of ABS-plastic, and it is manufactured in a standard injection moulding procedure. 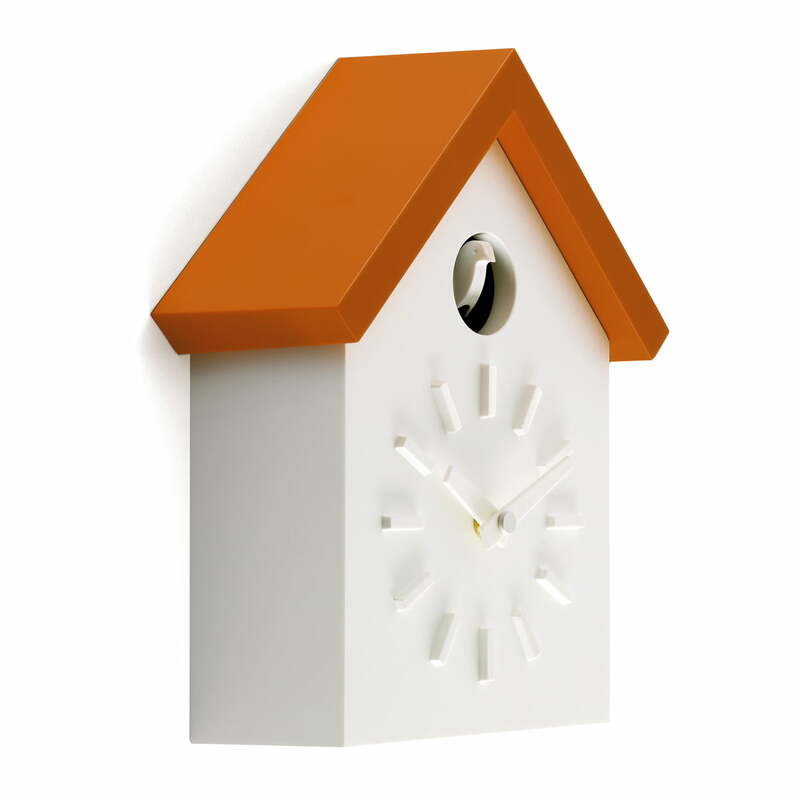 The basic colours for the house and the bird are constantly white, the roof is available in four colour variants (blue, orange, green, white). Amount of batteries 1 pcs.